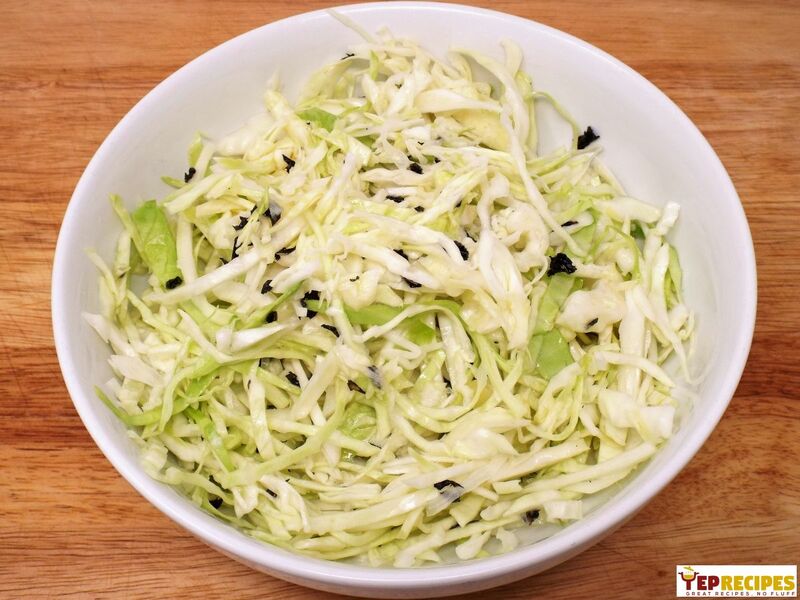 A simple cabbage salad made with lemon juice, olive oil, garlic, and mint. 1. In a large bowl mix the garlic, lemon juice, olive oil, salt, and mint until thoroughly combined. 2. Add the shredded cabbage to the bowl and toss to coat. 3. Let the salad sit at room temperature for 10 minutes to allow flavors to meld or cover and refrigerate to allow the flavors to meld a little more and serve at later time. Served room temperature or cold, it's a tasty salad either way.